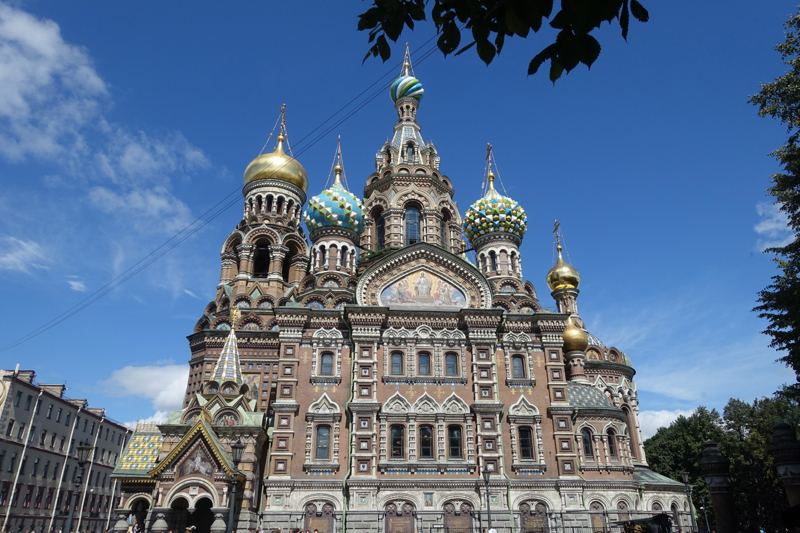 Our 10 Tips for St. Petersburg, Russia are based on client feedback, as well as my own stays in this “Venice of the North,” where I've spent about a year in total over the course of over 20 years. My son and I have just spent nearly 3 weeks in the city, as part of his Russian language immersion, so it seems like a good time to reflect and share my clients' tips and my own for this beautiful Russian city. St. Petersburg is a highly seasonal destination, welcoming most visitors between May and September, and particularly during late May-June during the White Nights, when it scarcely gets dark at night. There are also a few days in June when the International Economic Forum is held; for example, it took place June 16-20, 2016. Because of this, I highly recommend reserving your flights and hotel during this time period well in advance, and being prepared for higher accommodation prices compared to other times of the year. 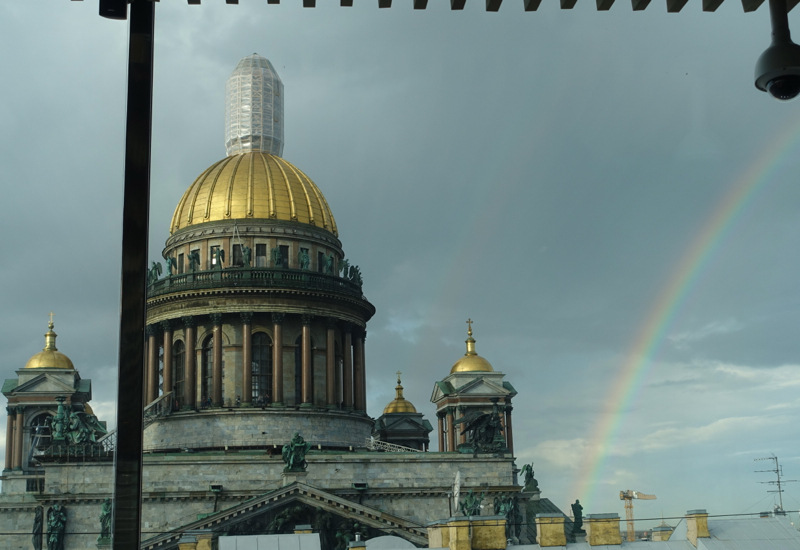 There are several luxury hotels in St. Petersburg, but in my view the best choice is the Four Seasons Lions Palace St. Petersburg, for its beautiful rooms, some with views and even private balcony overlooking St. Issac’s Cathedral. Service is typically of a higher standard than at other St. Petersburg hotels, and even when I’ve experienced issues, service recovery has been better than at other properties. 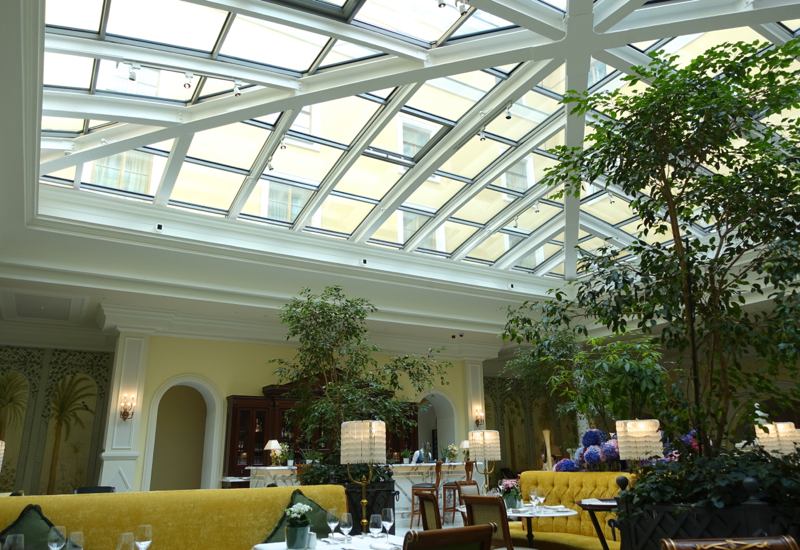 Dining is a treat as well; we enjoyed the sumptuous breakfast buffet each morning (complimentary when reserving with Four Seasons Preferred Partner benefits) in the beautiful Tea Lounge, filled with natural light thanks to its glass atrium. You can also order a hot dish cooked to order, and I highly recommend the syrniki, Russian farmers cheese pancakes, which are great with the many varieties of jam on offer. We also indulged in the dark, rich hot chocolate and the caviar with blini and accompaniments. 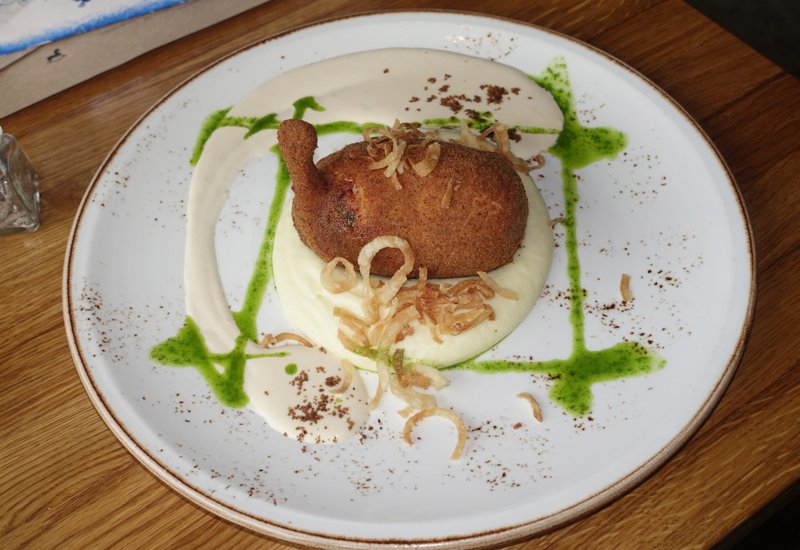 Don't miss trying other restaurants outside the hotel though–more on that below. One of the main objections of some clients to going to Russia is having to apply for a Russian Visa. The good news is that it’s a lot less painful than it used to be for U.S. citizens, since although you still have to fill out a few pages (my least favorite question asks to list the countries you’ve visited over the past 10 years) you can at least go through ILS rather than standing in line at the Russian Embassy. I'd suggest submitting everything about 2 months before you depart for Russia, just to be on the safe side, although the processing time is typically 10 calendar days. Avoid the stress and expense of having to expedite your Russian visa and plan ahead. Since the cost of the 3 year multiple entry visa is the same (as of this writing, $193 when submitting documents in person to ILS) as a single or double entry visa, you may as well get the 3 year multiple-entry visa. This was a no-brainer for us, since we're in Russia every summer, but if you're often in Europe you may just want to see a bit more of Russian on a future trip, or transit Moscow due to award flight availability. 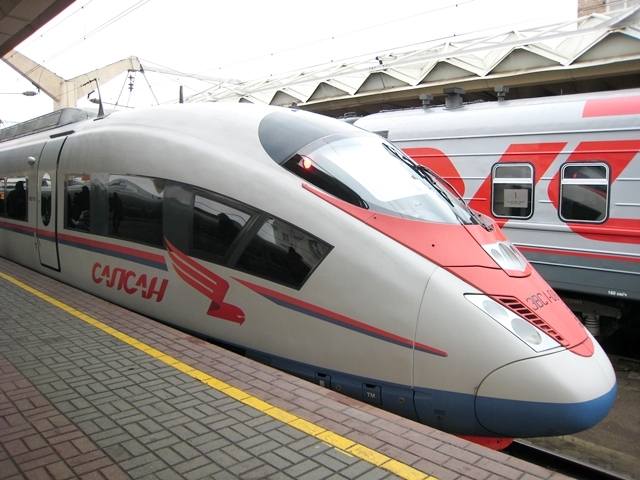 While there are plenty of flights between Moscow airports and St. Petersburg’s Pulkovo Airport, I recommend taking the high speed Sapsan train if you’re arriving in St. Petersburg from Moscow or visiting Moscow after St. Petersburg. It's just under 4 hours, and is often faster door to door since the railway stations are in the city center and you don't have to go all the way to or from the airport, clear airport security, contend with possible flight delays (the trains are more reliable), etc. 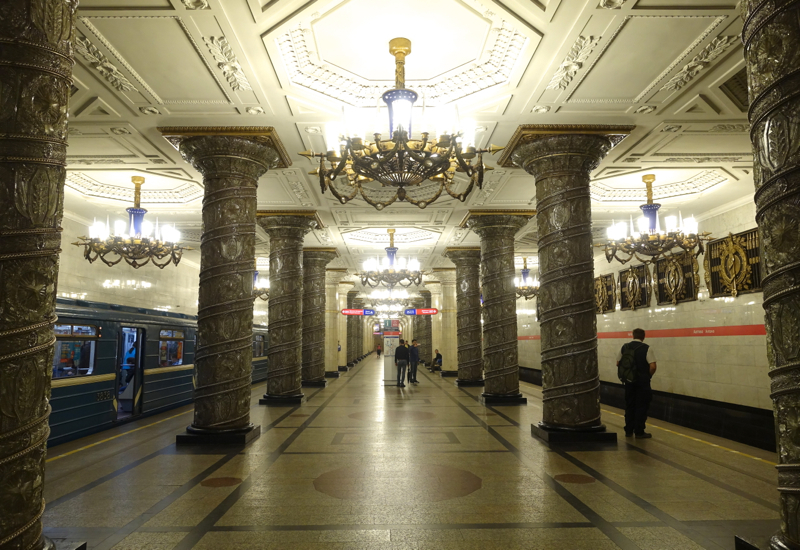 Plus, if you're traveling light (which I always recommend) you can take the metro to and from the Moskovskiy Station in St. Petersburg (Ploshchad Vosstaniya Metro Station) as well as the Leningradsky Station in Moscow (Komsomolskaya Metro Station). Weather in St. Petersburg, Russia even during the summer can feel like four seasons in one day, going from sunny and warm to a thunderstorm, to cool and breezy. My best advice is to dress in breathable layers and to bring or buy a compact umbrella and/or raincoat because of how changeable the weather can be. Because of the variable weather, I also recommend not overscheduling yourself, and spending at least 5 days if not a week in St. Petersburg, to maximize your chances of at least some sunny days for walking around the city and Peterhof. While the rain definitely puts a damper on outdoor visits, such as to Peterhof or wandering outside, there are still great museums to see; go beyond the Hermitage and visit the Russian Museum, a short walk from The Church of the Savior on the Spilled Blood, visit the small Museum dedicated to the Siege of Leningrad during World War II (although note it is currently under repairs and reopens September 7), visit some of the beautiful metro stations, if on a family visit, take the kids to the LabyrinthUm Museum or the City Electric Transport Museum, etc. 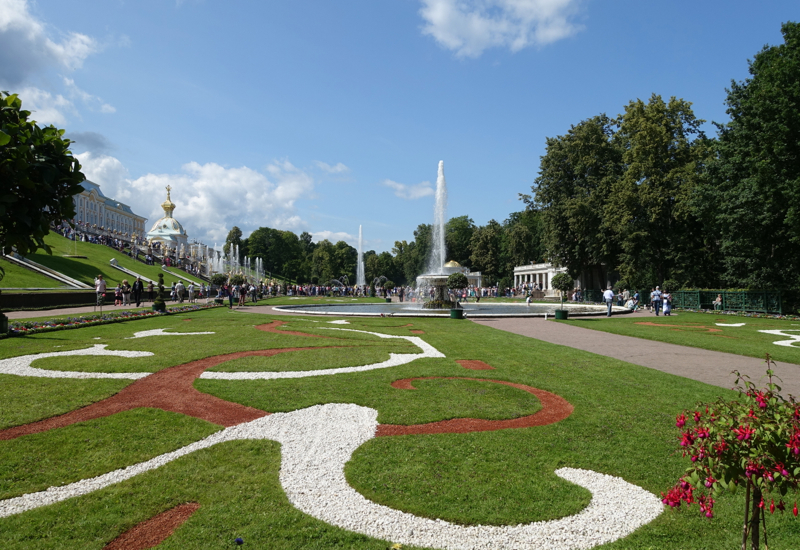 Speaking of Peterhof, Peter the Great’s palace and gardens that resemble a mini Versailles, I highly recommend visiting them on a weekday morning on a clear sunny day, to see them at their best. That’s because the gardens are also a popular weekend destination for locals, so they’re more crowded on weekends. Personally, unless you really want to see the interior of the palace, I would just enjoy walking around the gardens, seeing the different fountains, perhaps enjoying an ice cream if it’s a warm day. The hydrofoil is a great way to get there and back, and is also a short walk from the Four Seasons St. Petersburg. 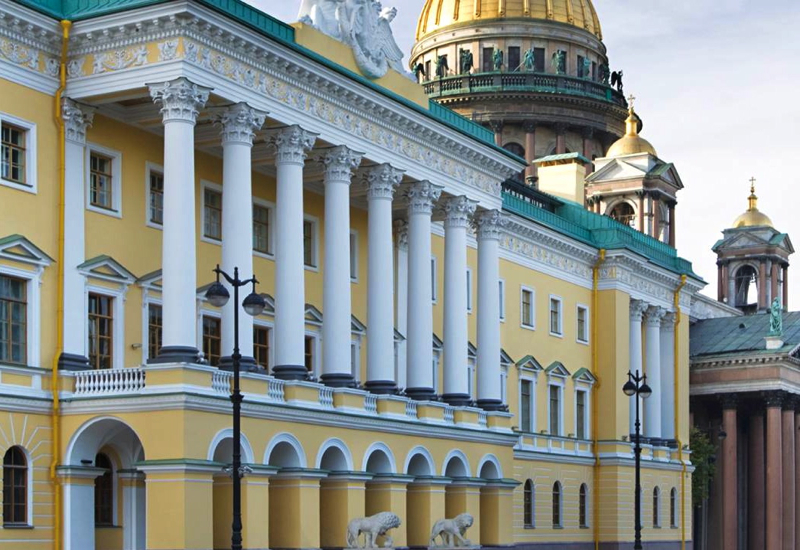 I highly recommend you avoid the crowds visiting the Hermitage (remember that many cruise ship groups also visit St. Petersburg in the spring and summer months) by arranging a private tour, before the museum opens to the public, or at least outside of the regular tour schedule. Another tip: if you enjoy impressionist paintings, make sure to focus your visit on the General Staff Building, specifically the 4th floor. The Hermitage Museum itself offers a private guided tour for a group of up to 7 people in English for RUR 7000 (or in Russian for RUR 5000, if you speak Russian), of either the main Hermitage Museum Complex or the General Staff Building. If you're a foodie and think that you won't get anything but cabbage soup, potatoes and perhaps blini and caviar in Russia, think again. There are wine bars and gastro pubs that would be just as at home in NYC or Scandinavia in terms of the quality of the cuisine and service, yet offering a fresh, modern take on Russian cuisine with the incredible bounty of the largest country in the world, not to mention the countries of the former Soviet Union–Kamchatka crab and scallops from the Far East, locally foraged chanterelles and wild mushrooms and berries, sulguni cheese from Georgia, and produce and meat from local farmers. You won't find the best places on Nevsky Prospect, however–more on that in my future reviews. 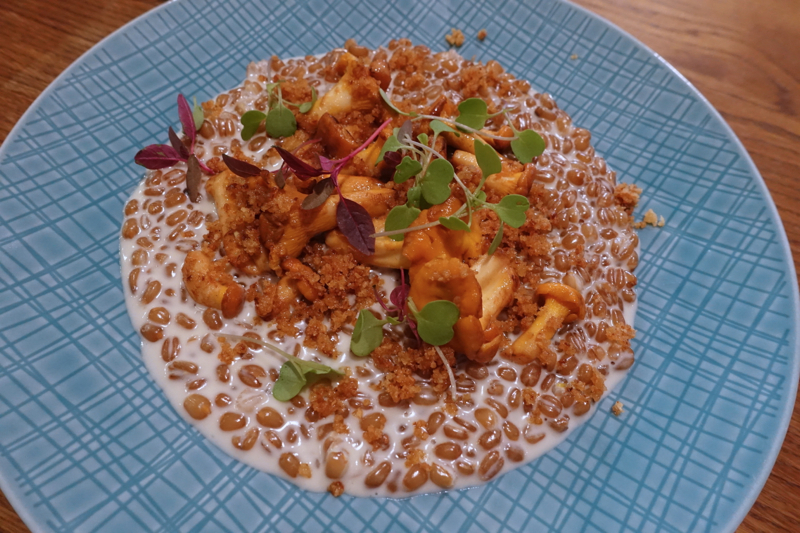 And this fantastic dish of creamy buckwheat groats with chanterelle mushrooms couldn't have been more satisfying. It was so good I came back to the restaurant just to order the dish again, which I almost never do, since usually I want to try new dishes. While it's certainly easy and fun to walk all over St. Petersburg, you'll be missing out if you don't take the metro at least once and visit a few of the beautiful stations, particularly on the red line, the very first line to be constructed, which opened in 1955. St. Petersburg is built in an area that was originally swamp land, such that it is the deepest subway system in the world, given the average depth of all the stations. Just as impressive as the deep stations and Soviet era artwork is the metro's efficiency–during peak times, you'll rarely wait more than 1.5 minutes, if not less, for a new train to come. That makes it an incredibly efficient way to get from one end of the city to the other, and a far better choice than a taxi or Uber during high traffic times. While the metro station names and many other things are written in English, it really does make life easier if you learn the Cyrillic alphabet so that you can sound out words, store names, signs and such. 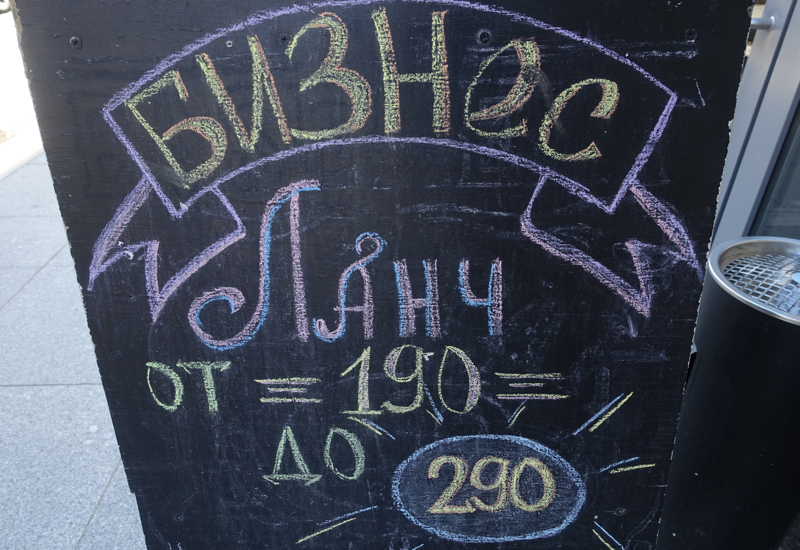 You'd be surprised how many English words have entered Russian–check out the “Business Lunch” sign below (even though there is of course a Russian word for lunch–обед-but it's not used on this sign). Have you visited St. Petersburg, Russia recently? What other helpful tips do you wish you'd known about?